A pilgrim to Puttaparthi suddenly developed acute appendicitis. 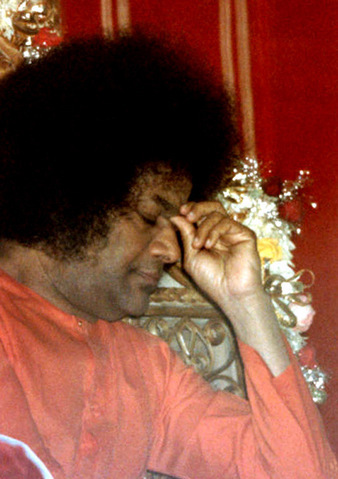 At the time, there was no hospital there nor was there a surgeon, so Sai Baba was asked to come to the room where the patient lay groaning. He waved his hand in the air and produced a surgical knife out of nowhere. A second wave materialized vibhuti which he used as an anaesthetic. With these aids he performed the operation to remove the inflamed appendix. Then the surgical knife vanished into thin air. He applied the vibhuti on the wound which healed immediately, leaving only a small scar.